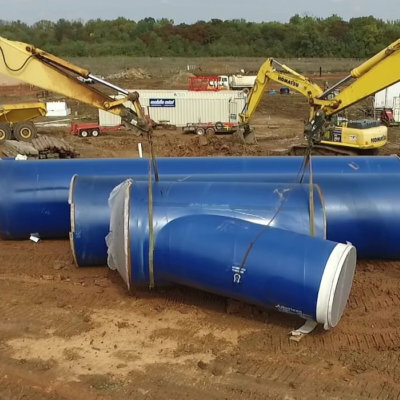 Spiral-welded steel pipe for the municipal water and wastewater transmission markets, industrial, hydroelectric and power markets including large diameter fabrication for treatment plants and pump stations. 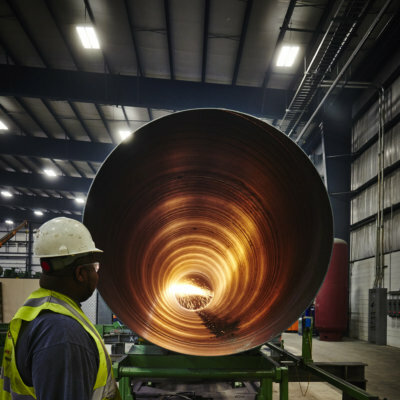 Line Work - AMERICAN SpiralWeld Pipe supplies steel pipe for line work applications in diameters from 24 to 144 inches and joint lengths up to 50 feet. 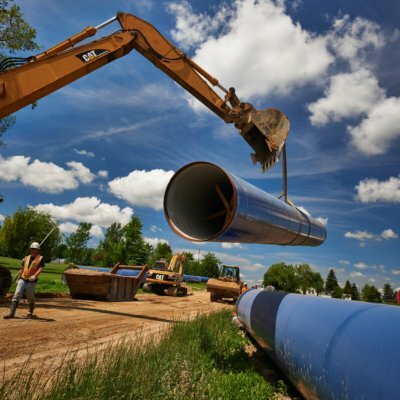 Plant - AMERICAN manufactures plant piping that is standards-compliant for larger-diameter applications. In addition to pipe, AMERICAN offers a large line of special fabrications and fittings; all manufactured in our United States facilities. 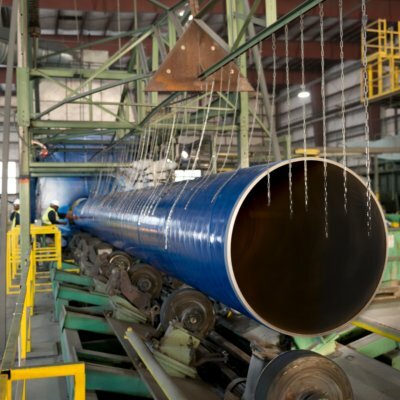 Structural - AMERICAN typically manufactures structural pipe to ASTM A252, ASTM A139 (with or without factory hydrostatic testing), and ASTM A1097. Occasionally, structural pipe is specified to AWWA C200.